Every Saturday I trek from Sunnyside to Fresh Meadows, Queens to visit my father. Laden with shopping bags filled with groceries, I take the number 7 train to Flushing, catch the Q17 bus and then walk 10 minutes to my father’s apartment building. I stop at CVS for his prescriptions and pull-ups, and treat myself to a café latte at Starbucks to sustain me through the day. 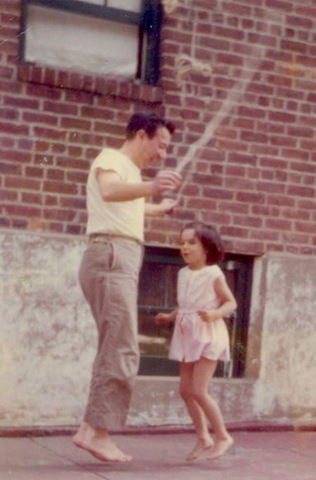 The onset of my father’s dementia was incremental. He’d tell me his upstairs neighbor was sending poison darts through the ceiling or I’d find a cluster of loose oranges in the corner of his bedroom closet. But even then, four years ago, we could watch any film on Turner Classics and he’d know every plot, actor, composer, set designer, and in particular, costume designer and his or her particular designing techniques. His expertise on film and fashion was not newly acquired but garnered over a lifetime. It began in his teens with experiments in clothing design using fabric swatches his mother brought home from her job in the Garment District, and at the movies, where he’d go with her on Saturday afternoons after doing his chores. As the glamorous actresses of the 1930s graced the screen he became enamored not only of their charismatic personalities but also of the skillfully and cleverly designed wardrobes they donned. His appreciation of costume design and in particular, his admiration for MGM’s illustrious designer Adrian, led him to study fashion design at the Central Needle Trades High School in Manhattan, and after serving in WW II, to Seventh Avenue, where he forged a successful career as a designer of women’s coats and suits for various well-respected fashion houses. 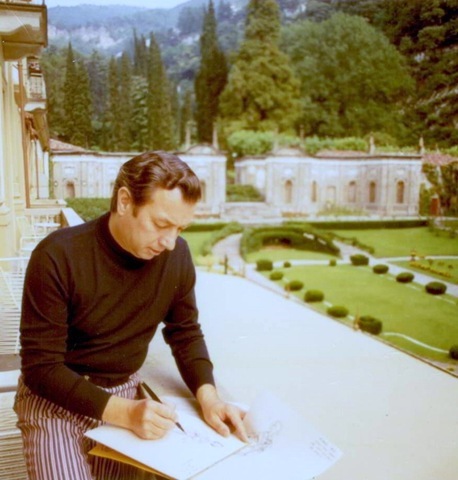 Though his appellation, Charles Rossi, was never monogrammed on handbags or became a household name, he rubbed shoulders with designers who did, such as Calvin Klein and Bill Blass, and during his bi-annual trips to the couture shows in Paris with Dior, Valentino and Chanel, to name a few. 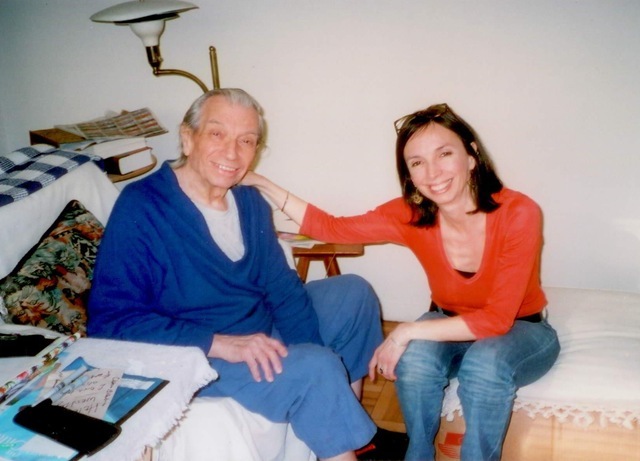 Over the years I’ve spent innumerable hours raptly listening to my father recount stories about his childhood, here and in Italy, his Army stint in Greenland, his career and the movie industry, all relayed with affection and humor. I’m grateful I have these conversations to reflect on, their elements the patchwork of his life. Since he’s incapable now of threading together the pieces for me, I rely on his photograph collection to supplement an event or name when I’m at a loss. 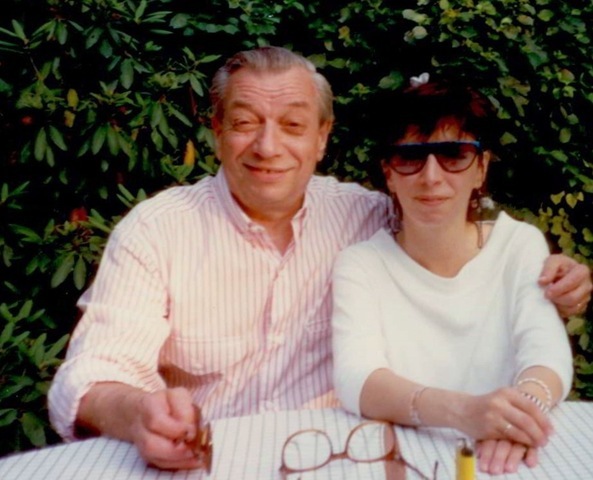 But when I need something that speaks of my father’s essence, I’ll peruse one of his copious books on film and fashion, each with underlined passages and appended with clippings related to their subject, and inscribed in his distinctive hand with the date, occasion and giver of the book. They serve as welcomed stand-ins for his lost knowledge and passion, and tether me to the person he once was. With current conversations no longer of substance or logic, I’ve had to adapt to a new way of communicating with my father. Sometimes, I’ll respond to a question appropriately only to have him say something incongruous in response. At times, I become the person he thinks I am, such as a fellow designer, and answer queries, say, about the fabrics I’m using for my new spring line. Most times I just say yes, in way of acknowledgment, for he still looks me in the eye and waits for a response. Occasionally he’ll read my perplexed expression and make a second attempt at relaying his thoughts, but the circuitry is gone, so instead of clarification, more confusion ensues. 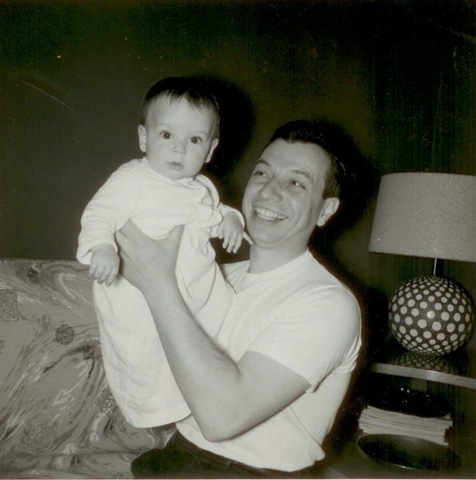 I wrote this essay as a tribute to my father in June 2013 for Father’s Day. On Sunday, September 22, 2013 he passed away in his sleep in the comfort of his own home, just as I had always hoped he would. He will be sorely missed. Lisa Rossi is a member of The Wall Street Journal’s editorial page staff. She has written book reviews and articles for the Journal’s Leisure & Arts page. What a wonderful article! Totally inspiring. I have read a lot of family tributes to their love ones. However, “My Father’s Keeper” by Lisa Rossi is a keepsake. I had never read such a moving, touching and loving story of a daughter who eloquently accounts her father’s life with such love, dignity and compassion. I would have been proud to wear one of Mr. Rossi’s coats or suits. Thank you for bringing your Father, his life and his Spirit into my life. I appreciate the little things in life even more.